Optimizing your website for search engines can seem intimidating. Confusing jargon, changing rules, and mysterious forces are at play. 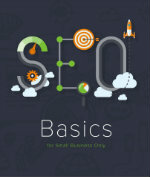 If you're feeling overwhelmed by SEO, this free guide is for you. Written especially for small business, it breaks down exactly what you need to get started in simple, actionable terms.